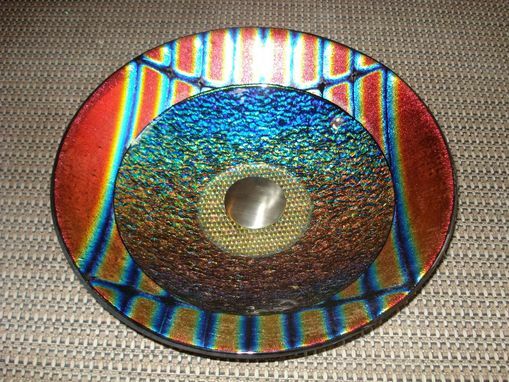 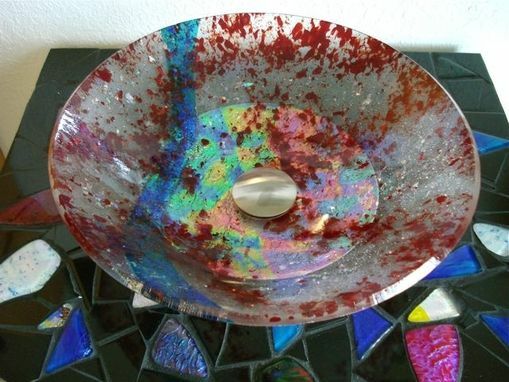 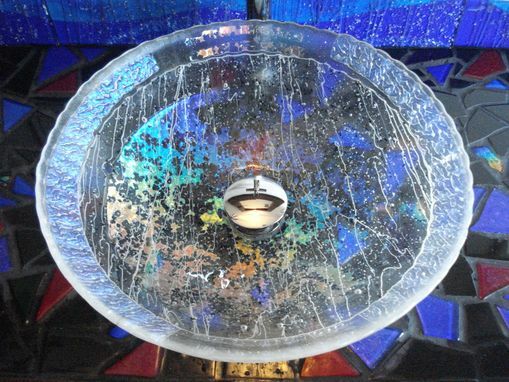 Several layers of tempered glass embedded with oxides and precious metals resulted in this unique and eye-catching dichroic sink. 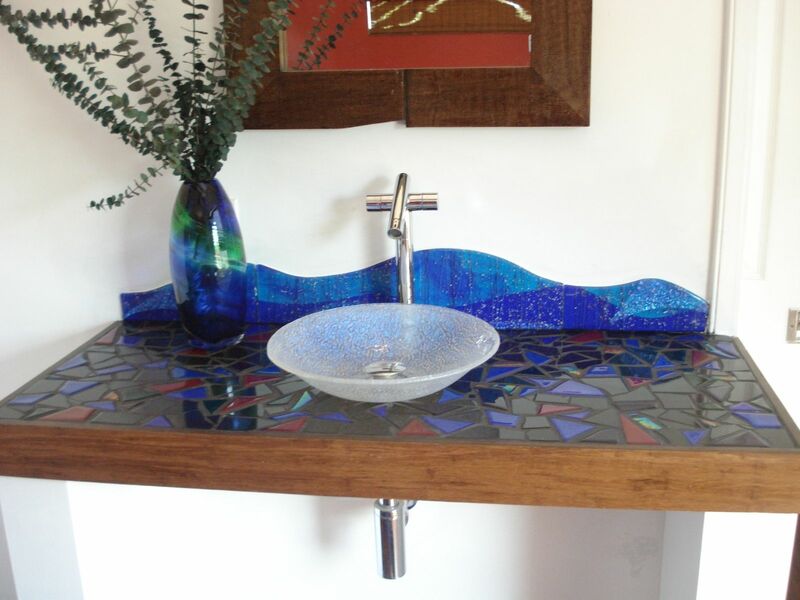 The stunning aesthetic of the heat-flashed glass contrasts with the conservative finish of the mounting ring and pop-up drain, making it a versatile vessel that incorporates well with almost any kind of bathroom or kitchen motif, be it minimalist, down-home campy, or anything in between. 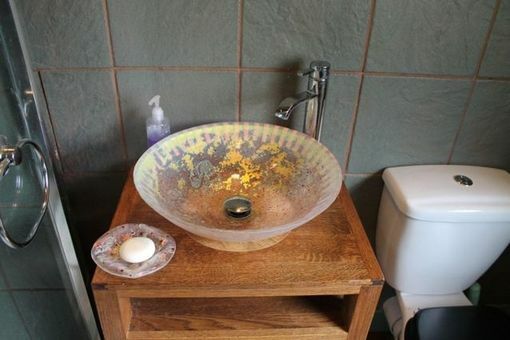 The sink measures about 15'' across and 4 1/2'' deep.